Despite court supervision, investigative agencies have come up with contradictory details over the course of the investigation. 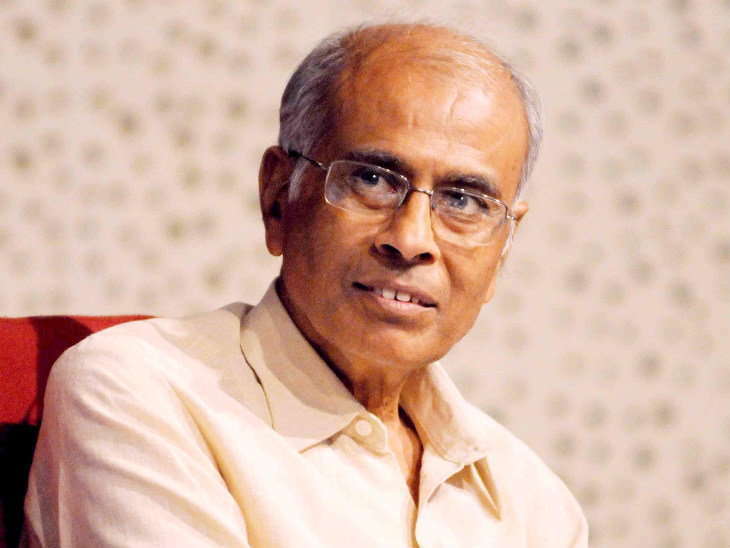 File photo of Narendra Dabholkar. Mumbai: Despite the arrest of one more person last week in connection with the August 20, 2013 killing of rationalist Narendra Dabholkar, questions remain about the manner in which the case is being handled by the Central Bureau of Investigation. On August 18, the CBI arrested Sachin Andhure of Aurangabad and identified him as one of Dabholkar’s shooters. The arrest came soon after the Maharastra police’s anti-terrorism squad (ATS) arrested three men, including Vaibhav Raut, and seized a vast quantity of explosives from them in Nallasopara outside Mumbai on August 10. One of the three shared information about Andure’s participation in Dabholkar’s murder, following which the CBI, which is the agency investigating the case, made the arrest. The CBI has also claimed that Andure was working closely with Dr Virendra Tawde, who is already in custody, to plan the murder. According to the agency, Tawde, an ENT specialist and a member of the Sanathan Sanstha, is the ‘kingpin’ behind the shooting of the 68-year-old rationalist while he was out for his morning walk. Tawde was arrested in 2016. However, despite the arrests, many questions remain about the crime and the investigation. The CBI had earlier said that Vinay Pawar and Sarang Akolkar, both still absconding, were the shooters – but now Andure has been named. Former Maharashtra chief minister Prithviraj Chavan has publicly said that the ‘real masterminds of the killing and three prominent persons’ are being protected. He has also questioned the timing of the arrests, which coincide with the fifth anniversary of the murder. Six eyewitnesses had identified sketches and pictures of Akolkar and Pawar. Now, the CBI will have to build up a new case against Andure. The investigating agency will have to get eyewitnesses for Andure, while filing a supplementary or a fresh a chargesheet which will have to be in accordance with the earlier chargesheet. The question is, will the CBI discard the first chargesheet? In March 2017, the CBI had announced a Rs 5 lakh award for leads on Akolkar and Pawar, as Dabholkar’s shooters. The agency has yet not withdrawn that award. On August 19, the CBI lawyer made a surprising claim in a Pune courtroom, saying that the shooters’ names were never mentioned in the chargesheet and just the resemblance of the sketches with pictures of Akolkar and Pawar was noted. This contradicts the chargesheet, which clearly mentions Pawar and Akolkar’s names repeatedly as the shooters/killers/assailants of Dabholkar. Nandkumar Nair, head of branch, CBI Mumbai, and investigating officer additional superintendent of police S.R. Singh have signed the chargesheet. The Bombay high court, which is supervising the Dabholkar murder case investigation, has often expressed its disappointment at the lack of progress. Last month, the high court pulled up CBI joint director and state additional secretary, home in the courtroom. Given this background, it remains to be seen how the CBI will present its new claims. Initially, the Pune police was investigating the Dabholkar case. It had filed a case in 2014 against arms dealers Manish Nagori and Vikas Khandelwal for their alleged involvement. The police claimed that the bullets found in Dabholkar’s body had been fired from the pistol/weapon seized from Nagori and his accomplices. The weapon was seized from Vikas on the day Dabholkar was killed. Nagori and Khandelwal have submitted an application demanding the closure of this case in a Pune court as the CBI has identified Pawar and Akolkar as shooters in the September 2016 chargesheet. But the case against Nagori and Khandelwal has not yet officially been closed. The Pune police had cited a report of the Kalina forensic lab and claimed that the two bullets were fired from the same pistol seized from Khandelwal. In the chargesheet too it was said that two bullets were fired on Dabholkar from same pistol. But one of the six eyewitnesses (whose name cannot be disclosed) from Pune, according to the CBI chargesheet, has said that four bullets were fired on Dabholkar. The Pune police and the special teams formed by the Congress-Nationalist Congress Party government could not effectively probe the case. Petitioner Ketan Tirodkar had filed a plea demanding that the Dabholkar murder case be transferred to the CBI. In May 2014, the Bombay high court handed over the investigation to the CBI. But from May 2014 to September 2015, the state government did not send seven officers to assist the CBI as per the high court’s orders. The BJP-Shiv Sena government came to power in October 2014. In September 2015, the officers were finally sent by the Maharashtra government. But crucial time had lapsed by then. On February 16, 2015, Communist leader Govind Pansare was attacked in Kolhapur and succumbed to his injuries on February 20, 2015. Professor M.M. Kalburgi was killed in Karnataka in August 2015. The ballistic reports of the Bengaluru Forensic Lab indicated that two country-made pistols were used for the murder of Pansare. Of these, one was used to kill Kalburgi and another was used to kill Dabholkar. But according to the Pune police’s claim, the pistol that was used to kill Dabholkar had already been seized from Khandelwal in 2013. These contradictions have led to confusion. The CBI had informed the high court that it will send the forensic evidence to Scotland Yard for further investigation. But this never happened because the required diplomatic authorisation could not be obtained. After this revelation, the high court allowed the CBI to get a new report from a laboratory in Gujarat. That forensic report’s details are not yet accessible. The Dabholkar and Pansare cases have been clubbed together and the court is supervising the investigation in both cases. So far, 26 hearings have taken place and the next hearing is scheduled for September 6. Kalburgi’s wife Umadevi has approached the Supreme Court for a speedy investigation. Although there is probable cause for a link between the killings, the investigating agencies are different. The high court has repeatedly directed that there should be smooth coordination between all agencies. A Special Investigation Team (SIT) is probing the Pansare murder case and the CBI is investigating the Dabholkar case. Tawde’s wife, Dr Nidhi, had given a statement to the SIT in the Pansare case that she and her husband were administered psychotropic drugs by Sanatan Santha members, following which the SIT raided Sanatan Santha’s Panvel Ashram in 2016. But this significant element is missing from Nidhi’s statement given to the CBI much earlier. The CBI and SIT have recorded the statement of a witness under Section 164 of the Code of Criminal Procedure who reportedly said that Tawde and Akolkar had met him a few months before the Dabholkar killing to get arms and ammunition. According to a copy of his statement given to the CBI and SIT before the magistrate (and which is in the possession of this reporter), he says he repeatedly informed the Maharashtra police and ATS officials about this immediately after Dabholkar’s murder in August 2013. Tawde, however, was arrested only in June 2016. The other agency involved in this situation is the National Investigation Agency. In 2009, two Sanatan Santha members died when bombs they were carrying on a scooter went off. Six members of the Sanatan Santha were acquitted in this case. The NIA has filed an appeal in the Goa Margao bomb blast case and the case is pending. Five Sanatan Santha members are on the run since the blast. One of the common names in the Dabholkar case and Goa blast absconders is Sarang Akolkar. Dabhokar’s family has many times complained that the NIA has not made any efforts to nab the absconders. Hindu Vidhidnya Parishad advocate Sanjeev Punalekar has repeatedly said in press conferences that the absconders are in touch with him. Sanatan Santha member Prashant Juvekar had given a statement to the ATS in 2010 that Punalekar had harboured all the absconding accused of the Goa blast in Mumbai. The NIA has given an affidavit in the Bombay high court that this case has no relation with the Dabholkar and Pansare murders. But if the identified accused Sarang Akolkar is the same one wanted by the NIA, then why can’t there be greater coordination to catch the absconders? This was a question raised by advocate Abhay Nevagi, who is representing the Dabholkar and Pansare families in the high court. The Karnataka police say they have cracked the murder of journalist Gauri Lankesh, which took place in September 2017, and collected evidence. Members of the Sanatan Santha said to be involved in the killing were arrested from Maharashtra by the Karnataka police. But in the Dabholkar case, the weapon, motorcycle and CCTV Footage are all yet to be found, and major delays continue.